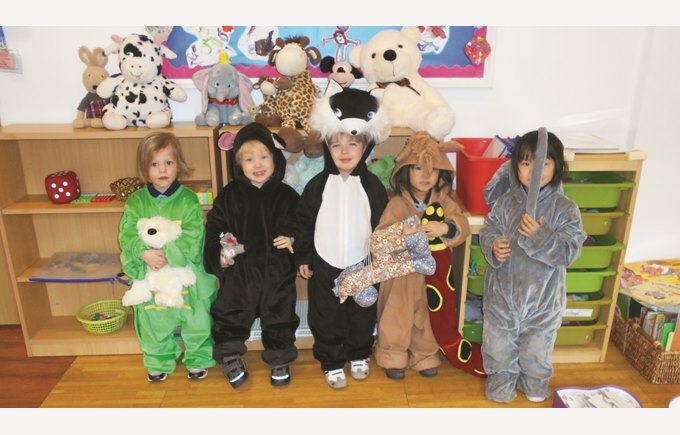 Pre-Nursery have had a fantastic time learning the story Dear Zoo. We have had a big focus on Expressive Arts and Design and using our imagination. 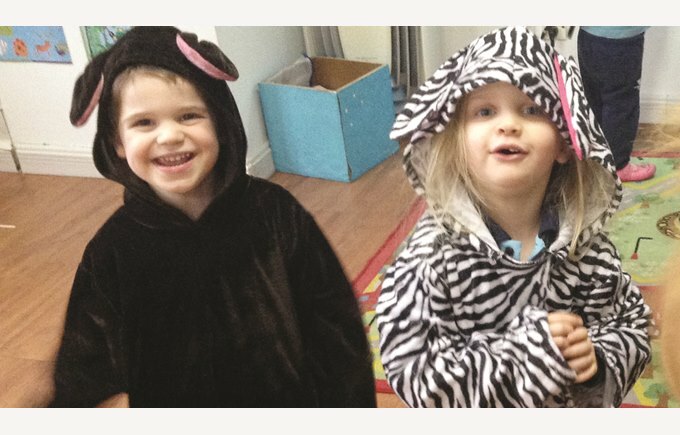 The children have been turning into all sorts of zoo animals and taking on a role in their play – as you can imagine, this makes for a rather noisy role play area! 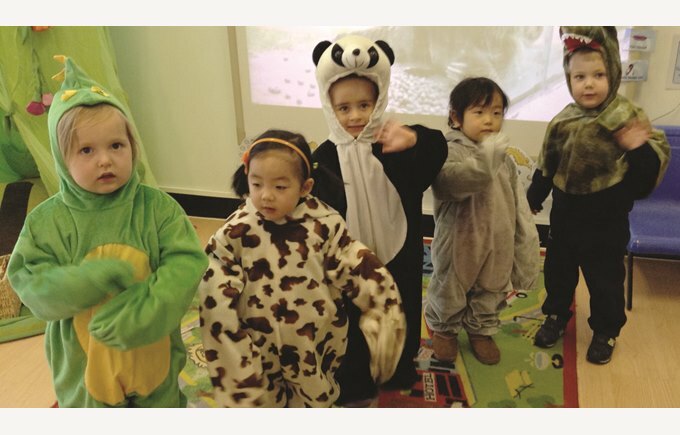 We’ve been learning the song ‘Let’s Go To The Zoo’ and during our hall time, the children have been thinking of ideas and creating their own movements – stomping like elephants, slithering like snakes, munching like giraffes and swimming like polar bears. We’ve been encouraging BIG movements to support the development of the children’s gross motor skills, it’s been lovely to see the children continuing their animal dancing outside in the playground too. All sorts of wonderful art work have been created during our focus on Dear Zoo. We’ve been thinking about colour and patterns and the children have been painting their own zoo animal handprints and trying hard to paint on the correct animal pattern. 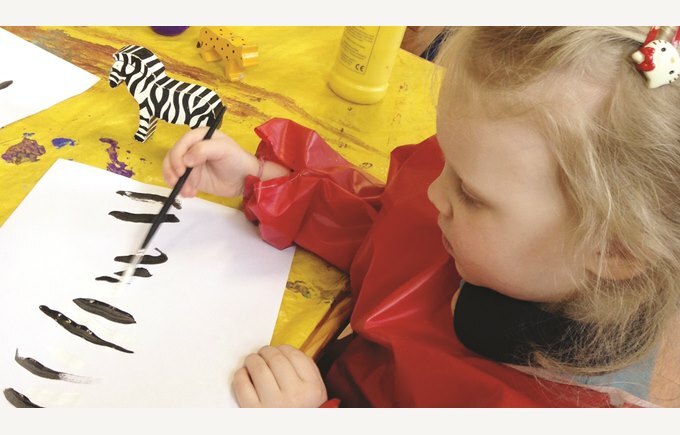 In Starfish class, we created a HUGE giraffe to go in our role play area, the children worked together to paint it and print on spots – we’ve been measuring ourselves against the giraffe too and trying to stretch up to make ourselves as tall as possible! Dear Zoo is certainly a favourite story in Pre-Nursery and we’ve had a lot of learning and excitement come from our Book Week story focus.